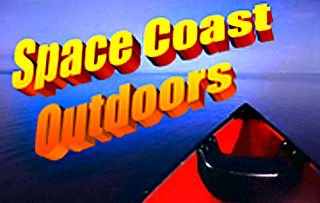 Brevard's best resource for information on fishing, boating, bird watching, hiking, hunting and more. Everything Outdoors is your resource for finding what you need to have a successful outdoor adventure in Brevard County, Florida. Fishing Regulations and Resources - Whether you need to find the best place to fish or the tide report for Sebastian Inlet, we have the information you need. Find out if you need a license to fish, what the laws say about the type of fishing you plan to do, and how to identify which fish you caught. Bait and Tackle Shops - We have provided you with a comprehensive list of places to purchase bait and tackle throughout Brevard County. Guides and Charters - Want to have the ultimate fishing adventure? Offshore or inshore, we have compiled a list of several local companies that are ready and able to make that happen for you. Airboat and Kayak - Here you will find a list of local companies that will rent you a small watercraft, teach you to stand-up-paddle, take you out for an exciting airboat ride, or guide you through a relaxing kayak tour. Whatever you choose, you are sure to see some Florida wildlife and have a great time. Boat Ramps - We have assembled a list of boat ramps available for you to use in Brevard County, complete with a link to see more information and a map. Eco Tours and Bird Watching - Get out there and see some gators! If alligators aren't what you are looking for, you will find plenty of resources for bird and wildlife watching trail locations and guided field trips. Hunting and Camping - Find the latest hunting laws and links to companies that will provide guided hunting adventures. If you want to camp locally, we have provided a list of the local campgrounds, too. Hiking and Biking - Here you will find a list of resources for hiking trails, clubs, guided and field trips. There is also a link to the Space Coast Free Wheelers bike club. Lights out for sea turtles! Brevard County has adopted Sea Turtle Protection Ordinances. Violators can be reported and the ordinance can be enforced by Code Enforcement. Help out our little friends and click here to learn more!